All the open game content of Zane's Guide to Machine Guns in a convenient PDF! 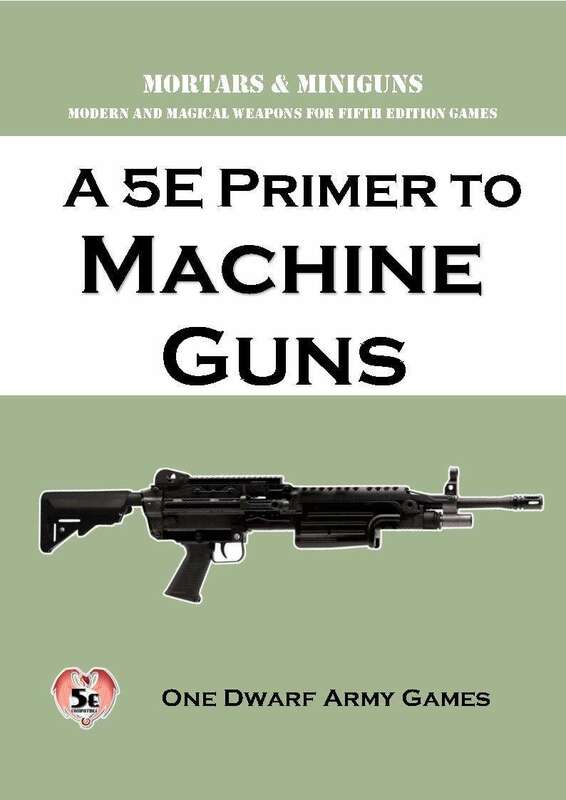 Contains the basic rules for firearms in Fifth Edition games as well as 5 common machine guns with full stats, from the portabler Submachine Gun to the awesome Minigun. Also includes 4 magical machine guns: the Fearless Guardian, Grand Inquisitor, Infiltrator and Splitfire.